Stay in the know! Sign up for the KHI V.I.P. Email List today! Makeup application can be a very important stage in not only portrait photography but a woman’s everyday life! Not surprisingly, good makeup application has its own set of rules and protocol to follow and actually starts with a good skin care regiment. Keep reading as I talk with Brittany McFadden, a very gifted makeup artist I have worked with on several occasions – enjoy! 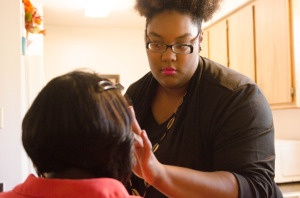 Kortney Hinton Images: How long have you been a makeup artist? 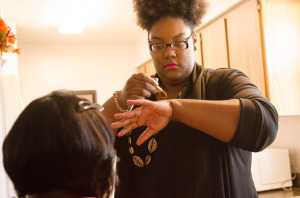 Brittany McFadden: I’ve been experimenting with makeup for about 7 or 8 years. KHI: How did you learn your craft in lieu of traditional or formal training? BM: I’ve learned in a different way. I would look at different magazines and would try to recreate a certain look and if I wasn’t understanding how they did it, I would watch YouTube videos for technique and the products that produced a certain look. I like to be able to create a look with inexpensive but quality products. I didn’t start wearing makeup until my freshman year of college, then I just kinda got interested in it as time went by here and there. When I went to college, I didn’t have time for a part time or full time job and was looking for ways to make extra money, so doing makeup for people was the way to do that. 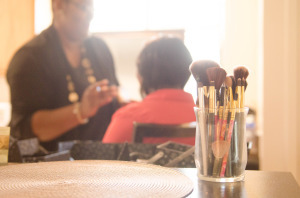 I eventually became a member of Black Essence Modeling Team and they needed a makeup artist. I became involved in the theater department and whatever character we played, we applied our own makeup, even the guys. When we didn’t know how to do a specific look, we would go to our director, who would then show us how. 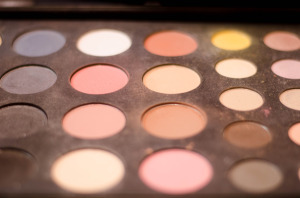 The best piece of advice our director told us was that the key to good makeup was blending. It has become like art to me. 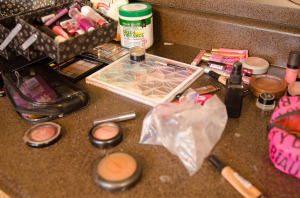 KHI: Why is it important to have professional makeup application? What can a professional bring to the table to enhance a person’s experience? BM: It’s important to have professional makeup application especially for shoots or major events because that makeup artist, or color artist, is going to not only be able to relieve a little bit of anxiety for that client but they will also be able to coordinate the client’s makeup with their outfit as well as to match the location. The makeup artist is able to give that element of surprise at the end to see how the client can transform them from their normal, regular look to a different kind of creative look. KHI: What are some good skin care methods you can suggest? BM: I have normal to oily skin, which can be kinda a pro and a con because it doesn’t really dry out, but certain products I use tend to make my skin more oily. Someone with oily skin will want to use a pore cleanser or something that pulls the oil from the skin. If you have dry skin, I would suggest using a product that says it will hydrate or moisturize the skin. Drink a lot of water! A lot of people say that you should do this, but it’s really not cliche, it actually works. Put the soda down, put the coffee down, put the alcohol down – sugar really does effect the skin. Of course as the seasons change, my regiments change and you know being in Arkansas we have only two seasons: cold and hot. KHI: And those seasons change every couple of days! KHI: What is your daily skin care regiment? BM: I get a wash cloth, soak it in hot water, and place it on my face to open my pores up. I then use a gentle facial wash (for oily to normal skin) and work it into my fingers until I get a rich lather that I then work it into my skin. With the washcloth I would then gently scrub my face in a small circular motion for a while. Next, I take coconut oil and pour a little a on cotton ball or cotton round and get enough on there to where I can put a thin layer on my face. It’s not slathered on, mind you, it’s just a thin layer. I then get in shower and let it steam, then wash and moisturize my face. Sometimes in the winter I’ll use Shea butter (just a small amount because it doesn’t take much) and in the summer I’ll use a light moisturizer. 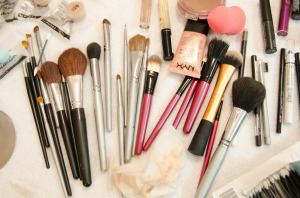 Another important thing is to keep your brushes and your beauty tools clean; if you don’t that could cause bacteria to grow. It’s also good to know when to throw products away. I would say if you’ve had mascara two and a half to 3 months, whether you’ve used it much or not, you may consider replacing it. When I clean my brushes, I like to use an antibacterial-type soap with a drop of coconut oil to cleanse the brushes. Wow, such good, practical advice! Thanks Brittany! To find out more about Brittany’s work or to book her services, you can contact her through her Facebook page. Brittany McFadden is a native of Little Rock, AR. 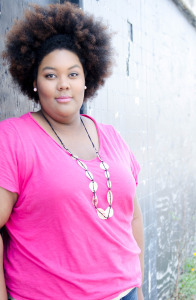 She attended the University of Arkansas at Pine Bluff and earned a Bachelor of Science degree in Psychology in 2012. 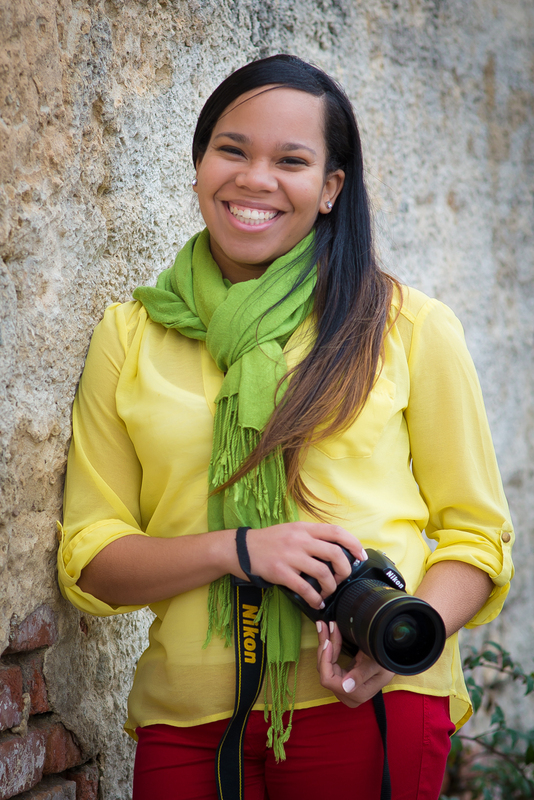 While in college, Brittany was involved in various organizations and clubs which didn’t allow much time for a job. Needing extra money, she decided to try her hand at makeup. She became a member of Black Essence Modeling Team where she was able to practice her styling and makeup application skills. She also because a member of the John McLinn Ross Players in the University’s theatre department. 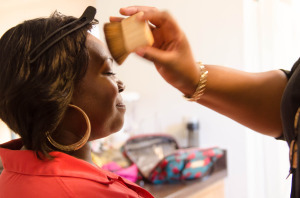 There she was able to take a theatrical and television makeup course under the instruction of Cheryl C. Collins. Kortney Hinton is a self-proclaimed “extroverted introvert” who’s passionate about life, loves to engage in it as much as possible and hopes to encourage everyone around me to do the same. Anything with an interesting story intrigues me: books, movies, television, people – bring it on! © 2015 Kortney Hinton Images, LLC | Serving Central Arkansas and surrounding areas! | Contact Us | Portfolio | All Rights Reserved.